If you call $19 as affordable and ready to spend it on an audio device, this true wireless earbuds is the best choice for you. 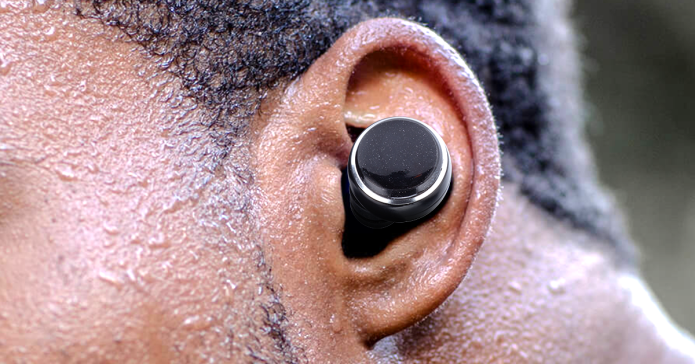 Meet, Nano Pods, one of the most functional yet affordable Bluetooth earbuds that you can back on Indiegogo today. 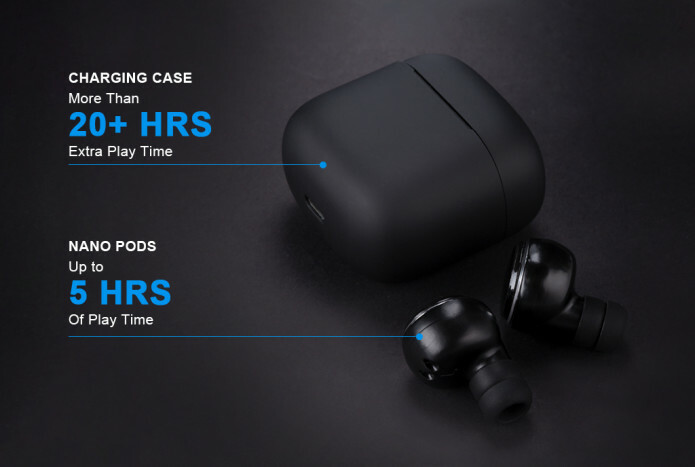 Starting at $19, Nano Pods seemed like cheap earbuds with basic features but as I scrolled down the Indiegogo page, I was astonished by its features such as Bluetooth 5.0, Touch control and a whopping 25hrs total playtime. Though I haven’t tested the product myself, all I can recommend you is to head over to the Indiegogo product page and find out for yourself. 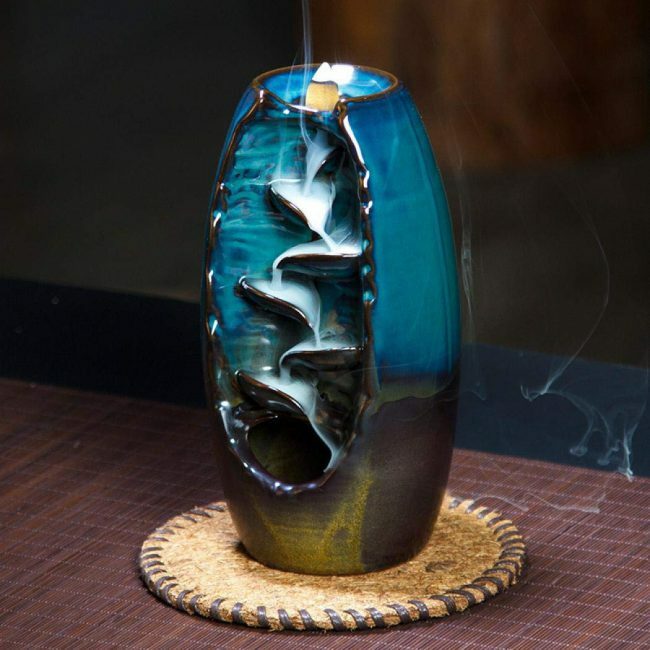 Below is the video of the product to make you understand it better. In today’s digital world, everyone deserves the unbeatable sound of true wireless earbuds, free from cables and comfortable enough to forget they’re even in your ears. 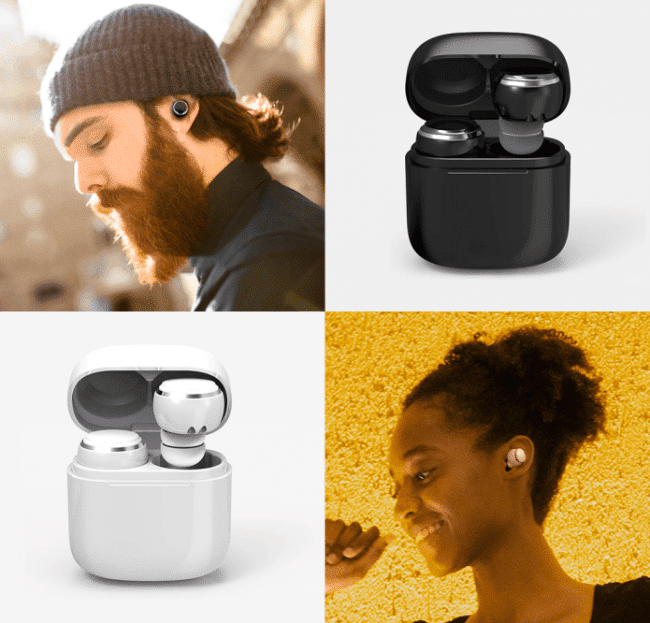 But until now, earbuds with these qualities typically cost as much as $159 a pair. Introducing Nano Pods earbuds, with incredible sound quality, rock-solid connection, total comfort, and an affordable price for everyone. Nano Pods is the world’s first TWS under $20, with advanced features and incredible sound. 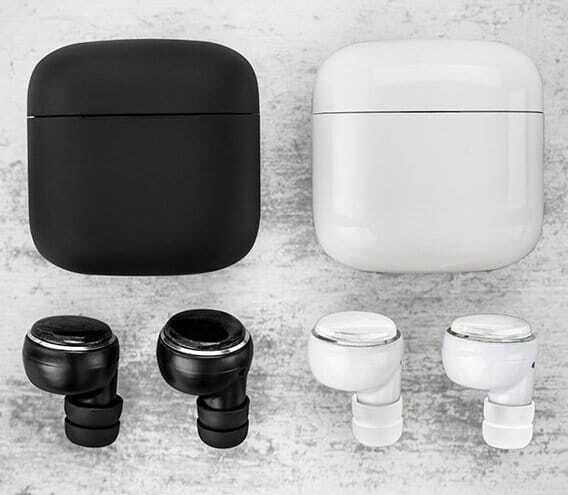 They represent the most complete wireless earbuds solution at the lowest price ever. 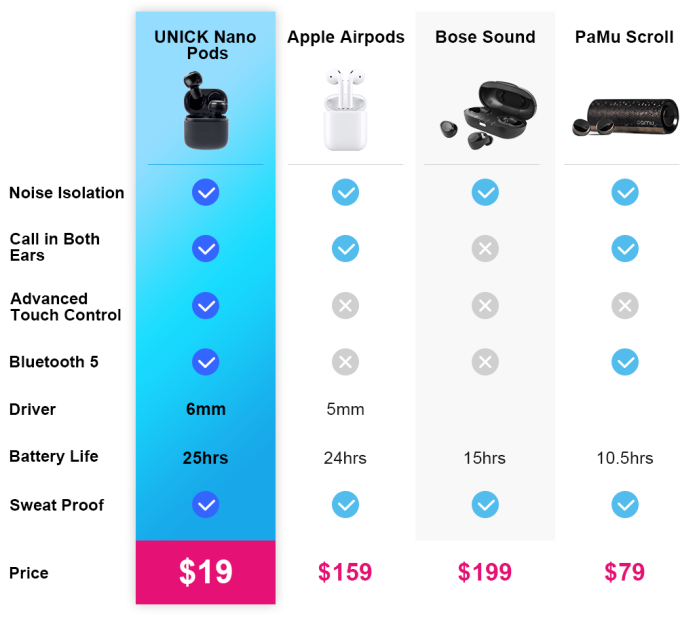 The following is a brief comparison of Nano Pods’ features with that of popular earbuds such as Apple Airpods, Bose Sound and a recently funded PaMu Scroll earbuds. 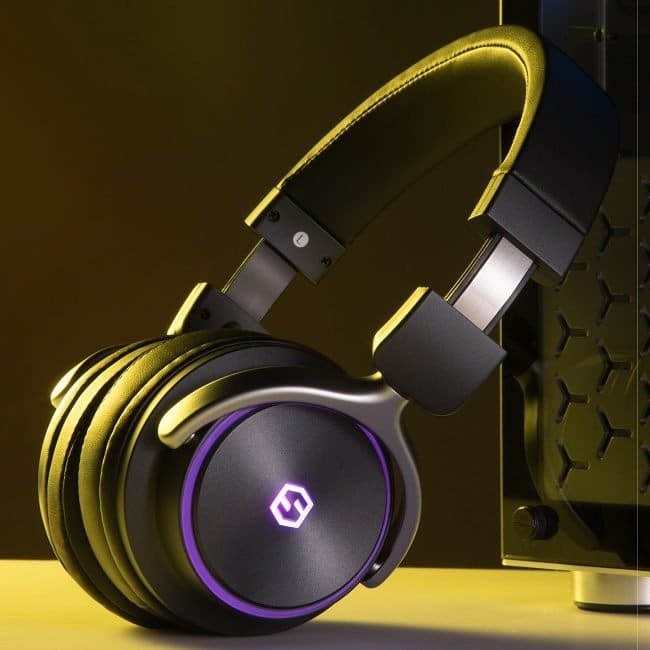 Equipped with the latest Graphene audio technology for dynamic sound. Graphene is an incredible new ‘super material’ made up of a single layer of carbon atoms in a hexagonal pattern. It is the thinnest, lightest, and strongest material, with unusual properties that make it perfect for audio applications. 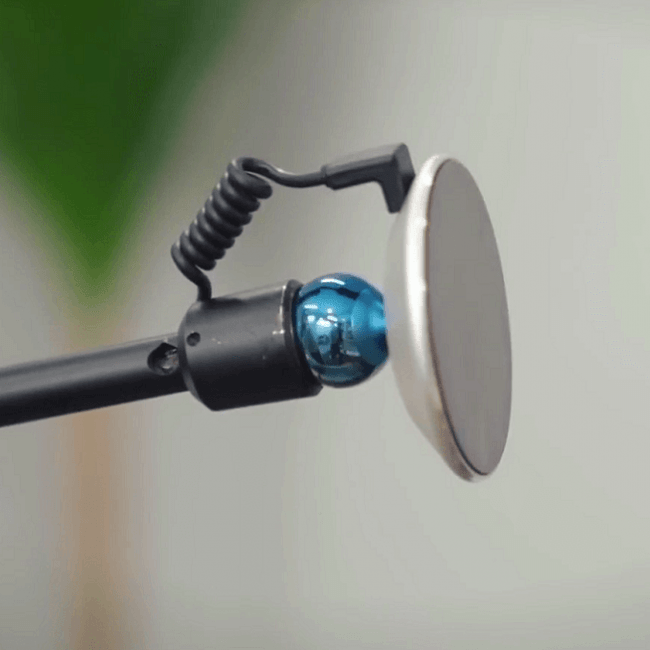 Like all speakers, earbuds recreate sound by moving a dynamic driver with an electric voice coil. Drivers made out of Graphene are incredibly thin and light and require less power input to accurately create sound. Not only is Graphene very thin, but it is also one of the best conductors of electricity in the world which makes Graphene-based drivers incredibly energy efficient and perfect for mobile audio. Nano Pods utilize this technology with an Apple certificated tuner to further refine the sound and achieve perfectly balanced and precise stereo audio. 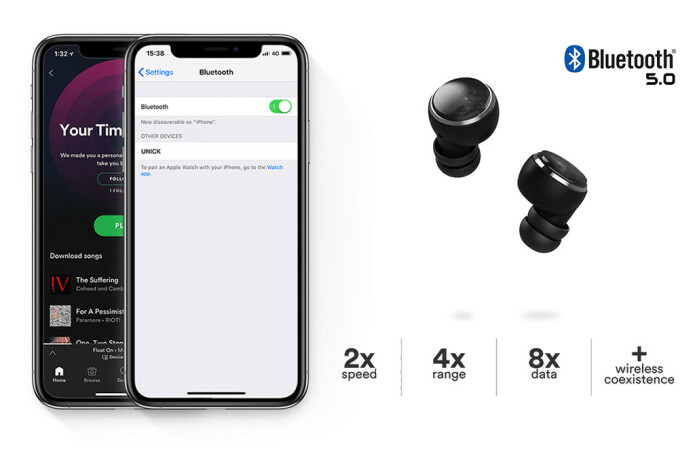 Bluetooth 5.0 is the ubiquitous wireless technology’s latest iteration which enhances connectivity within a 10m range and maintains a super stable wireless connection. A stronger connection means that music is streamed flawlessly with lower power consumption that translates into less recharging and longer playback times. As active, digital natives, we understand the need to go longer between recharges. Nano Pods were designed with unrivaled battery life. 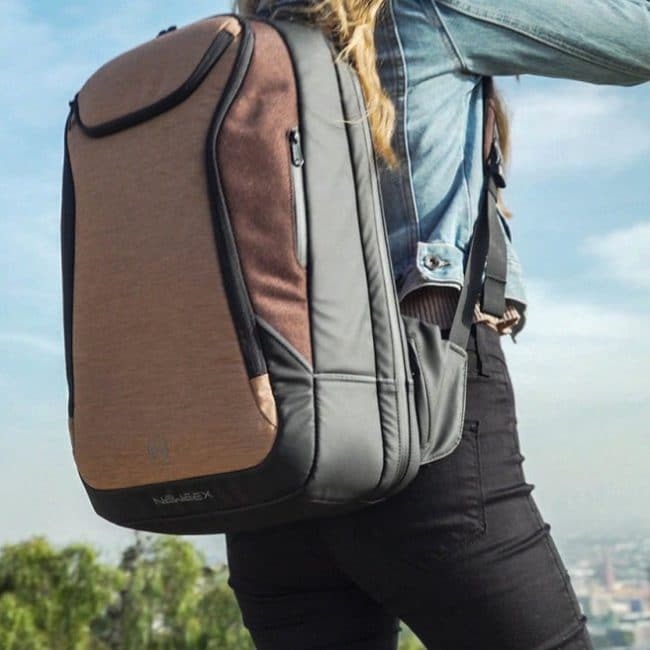 They provide up to 5 hours of play time off of a single charge and when used in conjunction with the patented charging case, 25 hours of total play time can be achieved. It will get you through any workout and entertain you during days of travel. Nano Pods is compatible with Siri/Google Assistant/ and smart speakers. 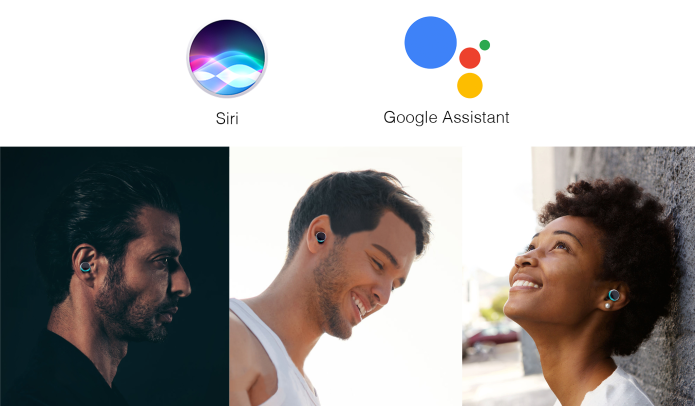 Simply long press the button to activate your favorite personal assistant without having to remove the earbuds or touch your phone. Like all good earbuds, Nano Pods are sweatproof and durable enough for working out or any sporting activity. Get your jam on and exercise at the same time.